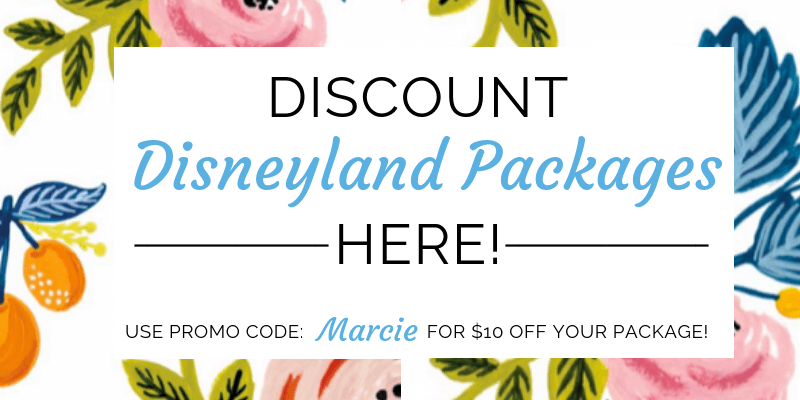 Get the BEST Disneyland Resort deals here. Some back story: Last summer, we had a family wedding in Malibu, CA. It was a destination wedding that featured an array of amazing festivities and included family from all over the world. However, the reception was adult-only. At the time, our family had a 3.5-year-old and a 9-month-old. We knew that we wanted to bring our kids for the weekend to be around family we don’t see often, so we asked my Mom if she’d come along to watch the kids. After she agreed, I figured we might as well incorporate a stop at Disneyland since we’d already be so close! 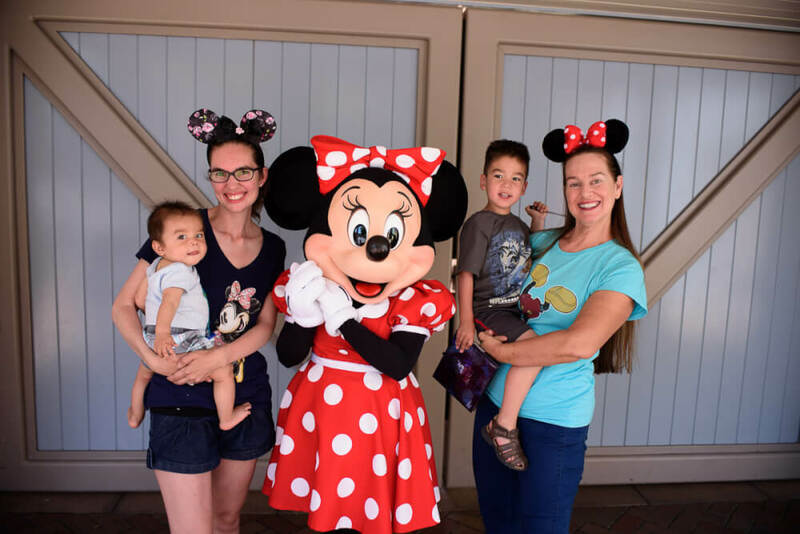 My Mom had never been to Disneyland before and I figured this would be a fun way for her to spend time with her grandsons. She thought it was an interesting idea and was on board for the adventure. Are you tired of pushing the stroller? See if Grandma wants a turn. Does your toddler need ANOTHER potty stop? Grandma would be honored! Is your shirt soaked with sweat from babywearing? Grandma would love some baby snuggles! Grandma provides an extra set of eyes, hands, and ears. There are very tangible ways having Grandma around will benefit you. 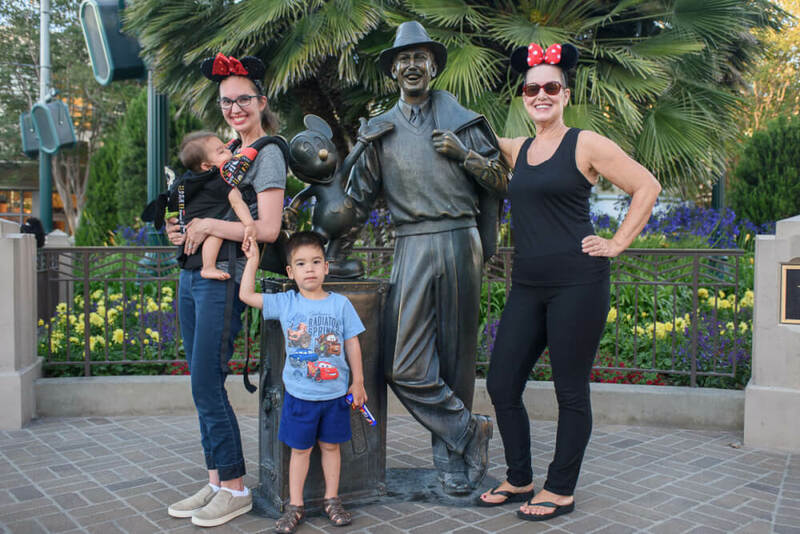 Just as importantly, your kids get to be in the Happiest Place on Earth with quite possibly one of their favorite people. Does your kid want to go on a ride that’s not your favorite? Grandma to the rescue! 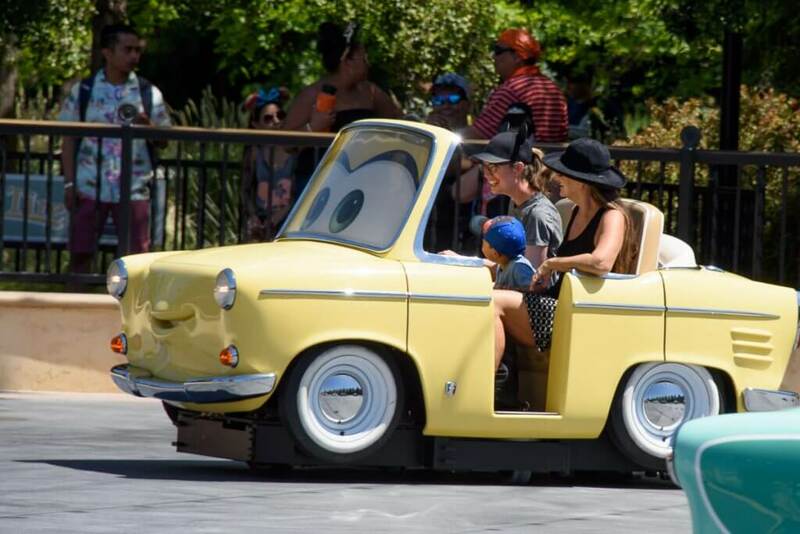 One of my favorite things about Disneyland is that adults ride alongside children. This gives a lot of opportunity for parents (and Grandparents) to experience Disneyland through the eyes of a child. 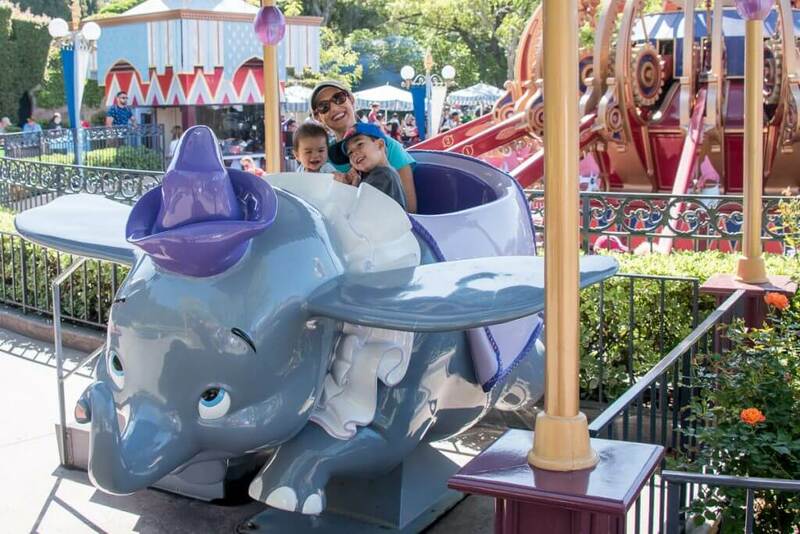 My oldest rode Dumbo the Flying Elephant on our trip to Disneyland Paris last year. He couldn’t wait to show Grandma how he could make Dumbo go up and down. She was thrilled to get to share this magical moment with her oldest grandson. Does your child repeat themselves? My son is a very enthusiastic storyteller and he loves to tell the same story over and over again. My Mom has not seen many Disney movies, therefore she was very receptive to my 3-year-old telling her the plot of each movie. This ended up being a good conversation starter for both of them. The one Disney movie she had seen was Moana (we saw it together on opening weekend) which made our Moana character experience extra fun! That’s a good thing, because my preschooler insisted we wait in line TWICE to meet her. Did you know that a stroller pass is good for up to 4 people? This enabled me to ride Soarin’ Over the World twice: once with my husband and then again with my Mom. This also works with Fast Passes. We grabbed Fast Passes for Radiator Springs Racers and could have combined it with the stroller pass to go twice. On our last day at Disneyland, my Mom’s legs were a bit tired from trekking across both parks all week. She kindly offered to take our baby back to the hotel so we could get some quality time with our oldest. It was so much fun to be able to go on special rides and stay up late to watch the Electric Parade! 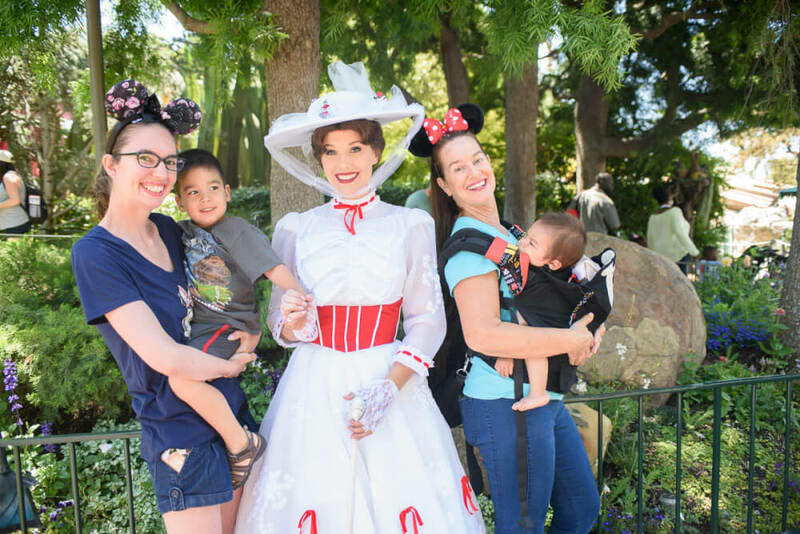 Had we stayed longer at Disneyland, we could have had a day where Grandma stayed at the hotel with the boys and my husband and I could have had a day at the parks without kids. At the end of our trip, we purchased a silhouette of my oldest and his Grandma. It’s the best souvenir we could have gotten to commemorate such a wonderful trip! Every time we look at it on our wall, we talk about how this was such a fun vacation! Goofy’s Kitchen Character Breakfast: Is it Worth It? We’ve had mixed results with taking family members on vacation. It looks like grandma was super helpful in your case! I’d love a night out at Disney! Cuba is one of my dream trips! How cool that you got to experience it with your grandmothers! Wow. This is genius lol! I would definitely make sure they are aware of grandma duties prior to going. I can tell you have a great relationship with your mom! Oh for sure! Haha! Don’t spring it on anyone! 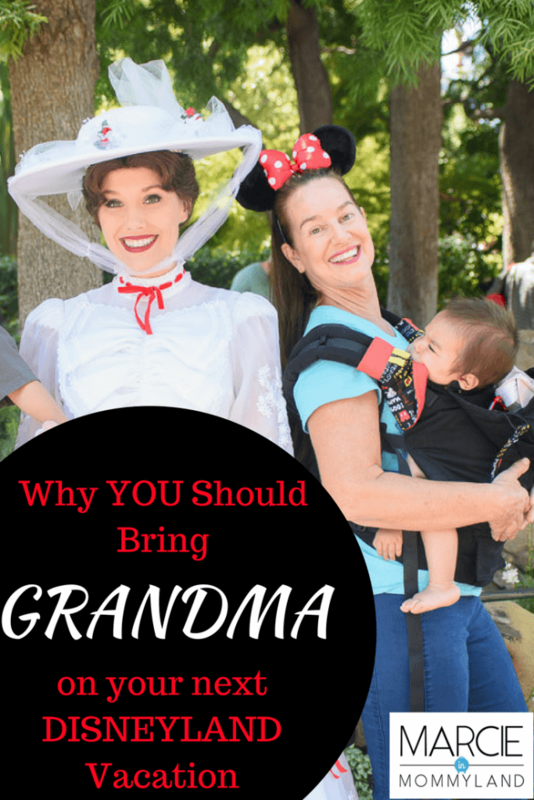 Taking grandma to Disney sounds like a fabulous idea! I can always use extra hands and I didn’t know that about the stroller pass! Definitely a great advantage. Plus, I get tired of having my kids alone all day! So I feel ya. 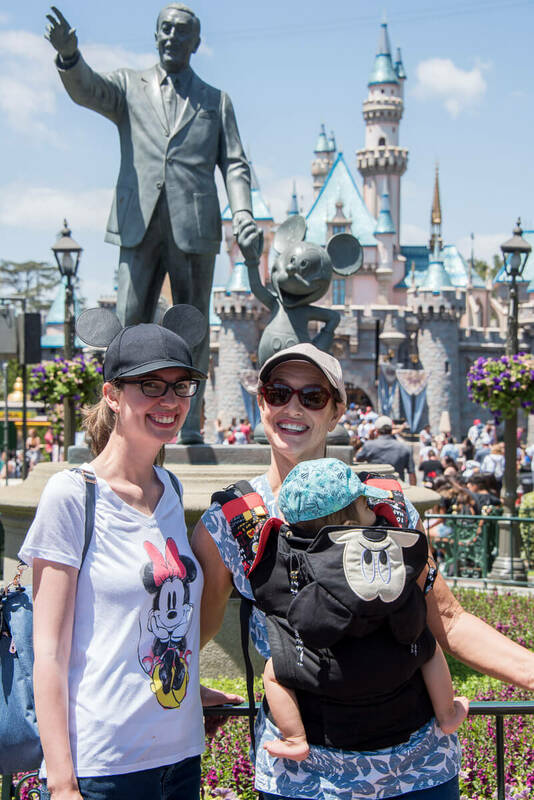 Taking your mom to Disney Land sounds amazing! What a great way for all of you to build extra memories! Your trip looked like an absolute blast! I’m so glad our schedules aligned and we could do this! What a wonderful idea! Your family is gorgeous! there’s so many benefits to taking along a family member on trips-not just for the extra set of hands, but the memories! Yes! My oldest always talks about inside jokes between himself and his grandma from this trip! What a cute post! We try to include Grandma and Grandpa is as much activity as they can handle, lol! Haha! Us, too! I always make sure to build in some quiet time away from the kids for them! Thia is such a cute idea 🙂 how sweet! I love grandmas and I love Disney land! It really elevated our trip! It’s so awesome with trips like that work out so well! Glad your daughter got to make those special memories! I love this idea! My daughter’s grandparents are out of state so they always want to be involved in big moments like this! It’s a great way for them to bond! We travel a lot with my parents. It’s always great to have them around. It’s bonding and helpful at the same time! I really appreciate that they are creating their own memories with Grandma! As they say, there is a kid in everyone. Such a lovely post. Love all the pictures too. Thanks so much! Yes, she finally got to live out her childhood dream! You must have made some amazing memories! 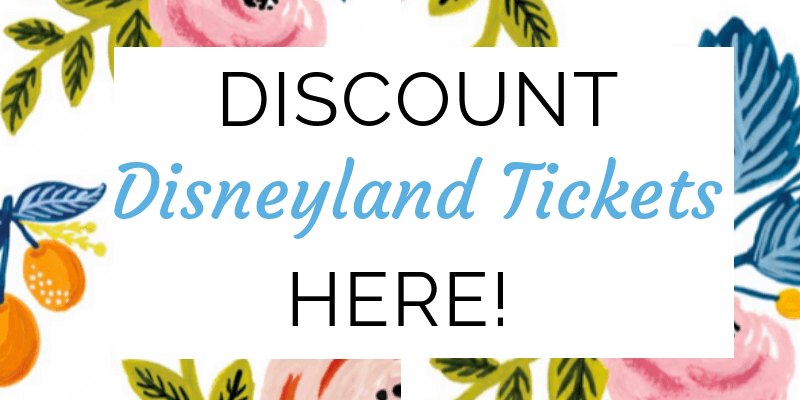 Isn’t it fun and perfect for a Disney trip?